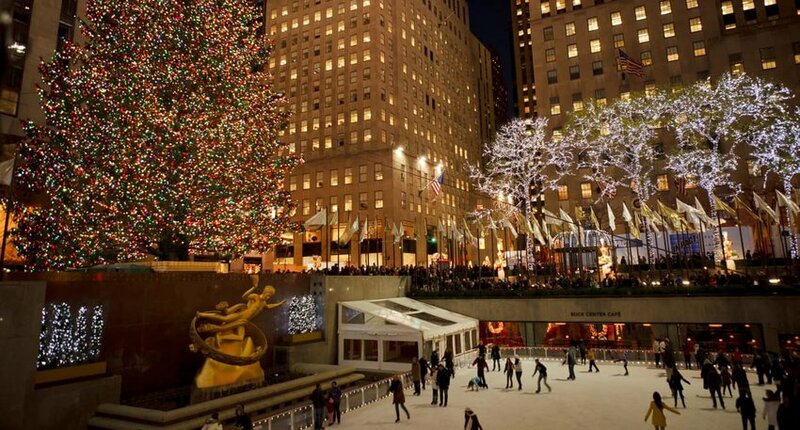 It’s the most wonderful time of the year, the song goes, and it’s never truer than if you’re lucky enough to be in the Big Apple for Christmas. 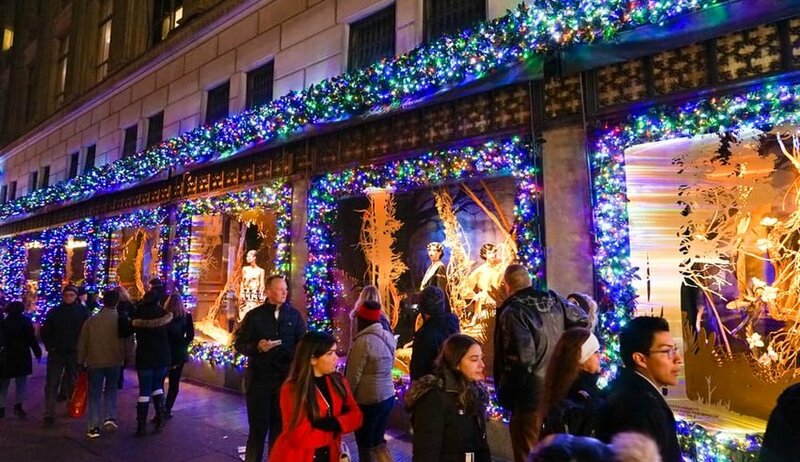 Here’s what you should know to ensure you spend a magical Christmas in New York City. For most of us, window shopping at the exclusive boutiques of 5th Avenue is as far as our budgets will stretch. Fortunately, there’s as much pleasure to be had from gazing at the magical displays from the outside of the glass as there is from making a purchase – and who needs those frighteningly hefty credit card bills after Christmas? Spend an afternoon wandering down 5th Avenue dreaming of what you’d take home if you won the lottery. 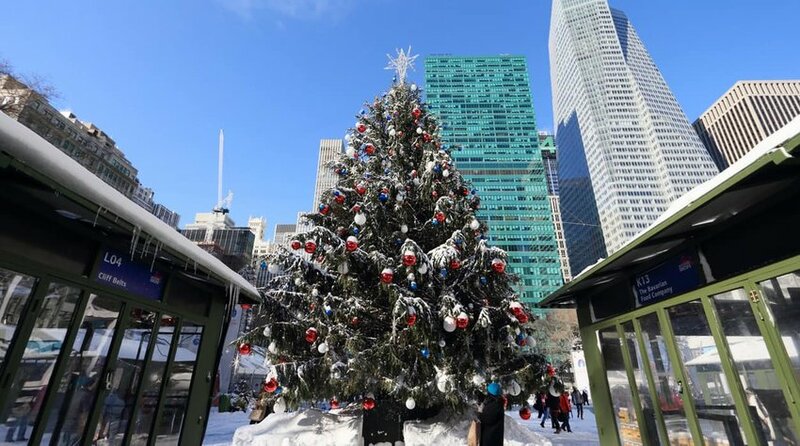 Though the Europeans are the world leaders when it comes to Christmas markets, New York holds its own with a characterful market in midtown’s Bryant Park. Instead of log cabins and wood burning stoves, you’ll find glasshouses and a giant tree. Retailers come from across the city to showcase their suggestions for gifts – you’ll find everything from one-off jewelry to novelty socks. 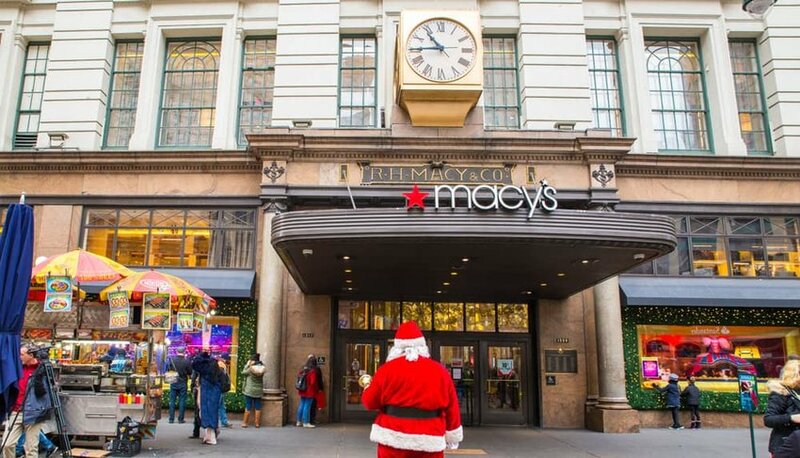 Santaland opens its doors to children of all ages in the hallowed halls of Macy’s, the world’s largest department store until 2009. Queuing is a pleasure as you take in the detail of the Christmas village holiday display, Santa’s workshop, snow-capped trees and twinkling lights. It’s a magical sight, so don’t miss out – advance reservations are essential and on certain days you can now skip the line with an express pass. 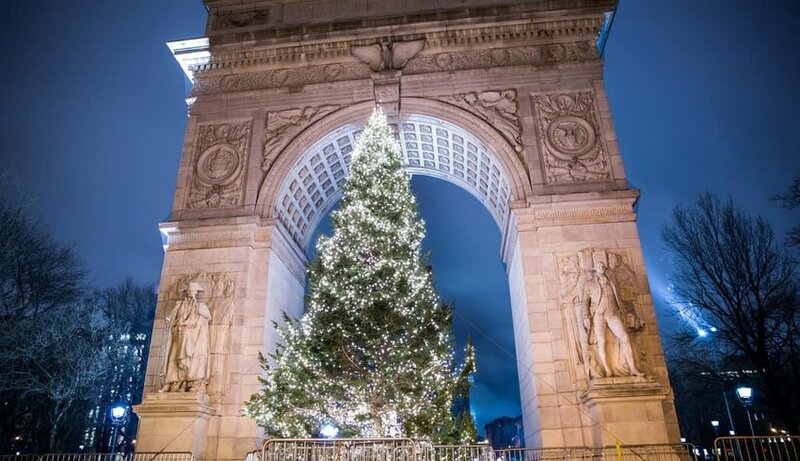 On Christmas Eve at 5pm a crowd gathers beside the huge tree under the Washington Square arch. Together, they’ll celebrate the festive season, this year accompanied by the Rob Susman Brass Quartet. Many of us will be familiar with the words as we belt out classic carols like "Hark The Herald Angels Sing" and "O Come All Ye Faithful", but if you don’t the Washington Square Association are on hand to provide song sheets. No one will complain at your enthusiasm, but you can always mime if you can’t hold a tune. Ice skating in the open air is as much a part of Christmas as present shopping and a big fancy dinner. You’ll get a red nose and see your breath in the cold, but don your hat and gloves regardless and join in the fun. The iconic rink in front of the Rockefeller Center has atmosphere in spades, but for a little more space, head to the Wollman Rink at the south end of Central Park. Seeing a show at this time of year is fun for all the family. 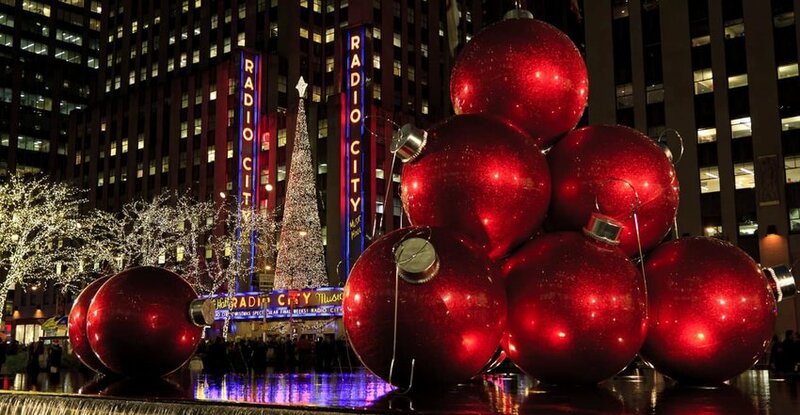 In New York, the Radio City Christmas Spectacular has been a must on the seasonal calendar since 1933. Santa joins the Rockettes for an extravagant routine of song, dance and perfectly synchronized high kicks which never gets old. You won’t find a sleigh, but the horse-drawn carriages that ply their trade in Central Park are the next best thing. Grab the hand of your significant other and snuggle up under a cozy blanket for what’s surely the most romantic thing you’ll do this Christmas season. Note, though, that although rides are permitted to operate while there’s snow on the ground, they have to pack up and go home if it’s too cold or if there’s a blizzard. If you’re keen to put the Christ into Christmas, then where better to do so than with a seasonal gospel offering in Harlem? The Apollo Theater hosts an afternoon of holiday gospel music to lift your spirits and warm your heart. Join Cece Winans, Hezekiah Walker and the Love Fellowship Choir for a concert to remember, compèred by comedian Marcus Wiley.